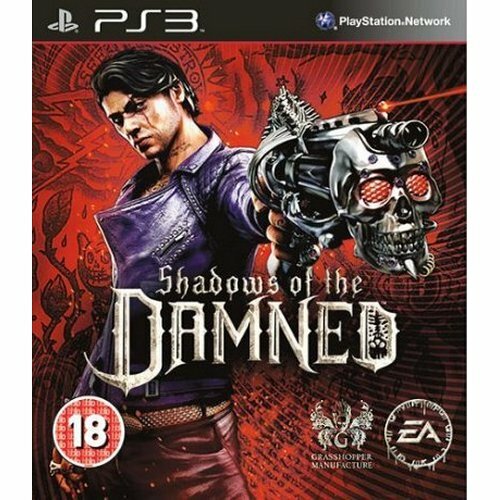 Buy Shadows of the Damned for PS3 in India at the best price. Screenshots, videos, reviews available. His name is Garcia Hotspur, hunter of demons, and his wrath will bring hell to its knees. From the creative genius of Suda 51 (No More Heroes) and Shinji Mikami (Resident Evil) comes an all-new psychologically twisted vision of hell unlike anything seen before. Shadows of the Damned combines visceral grindhouse-style action with dark, grotesque horror to create a mind-shattering adventure that has to been seen to be believed. When evil demonic creatures kidnap Garcia’s girlfriend, it’s up to him to travel to the City of the Damned to get her back. Aided by a former demon with the ability to transform into an array of vicious weapons, Garcia will once again take on the mantel of “demon hunter” and rip apart the horrifying forces of the underworld to protect what he loves most. Players must harness the power of the light to fight the army of the dark in unique light versus darkness gameplay that will forever change the way gamers perceive puzzles, combat, and terror. Combining the punk rock style of Suda 51 with the legendary horror design of Shinji Mikami, Shadows of the Damned will take gamers on an in-your-face thrill ride through demon-torn towns, shadow infested forests, grimy sewers and more. Featuring the most twisted boss battles ever seen, warped visuals and intense visceral combat, Shadows of the Damned will challenge gamers to break through the ultimate head-trip to help Garcia rescue his tortured girlfriend from the clutches of a mysterious enemy. Brace yourself for one hell of a trip to the city of the damned. A New Vision of Hell from the Creative Genius of Suda 51 and Shinji Mikami: Combining visceral grindhouse action with a psychologically thrilling atmosphere, Shadows of the Damned is a vision of hell like no other. Brutally Twisted Boss Battles: Bring your wrath upon some of the biggest, most memorable, and thrilling boss battles ever created. Harness the Power of the Light to Defeat the Army of the Dark: Manipulate the balance of light and dark to defeat vicious enemies, solve mind boggling puzzles, and bring hell to its knees. Psychologically Twisted, Visceral Combat: Rip apart the forces of the damned using an array of upgradable weapons and survive the ultimate head trip. Heart-Wrenching Storyline: A love lost and the journey through hell to get her back are the backdrop for this warped tale.